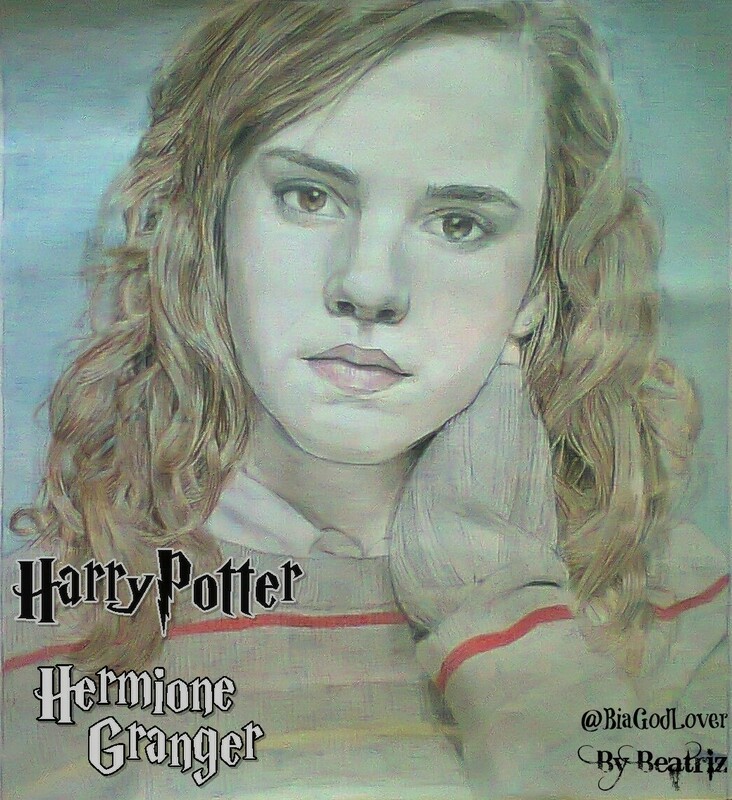 Emma Watson-Hermione Granger Harry Potter Drawing. My Drawing of Hermione Granger Harry Potter. HD Wallpaper and background images in the Harry Potter फिल्में club tagged: harry potter hermione granger wizard england emma watson logan lerman movie hogwarts jk rowling drawing. This Harry Potter फिल्में fan art contains चित्र, headshot, closeup, हेडशॉट, and क्लोज़अप.